As I have mentioned a few times before now, I generally absolutely loathe Shunya Yamashita figures. I love the way he sculpts bodies but something about the way the faces are done just bothers me, it is just a matter of personal taste I suppose. 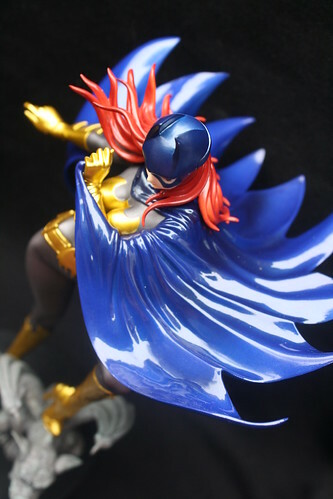 A friend of mine recently posted up pictures of his Shunya Yamashita Bishoujo Series Batgirl figure and she peaked my interest quite a bit. When I saw her in the store I became more interested after passing her up initially I ended turning around halfway home to go back to get her as well as my new War Machine Hot Toys and I’m glad I did. 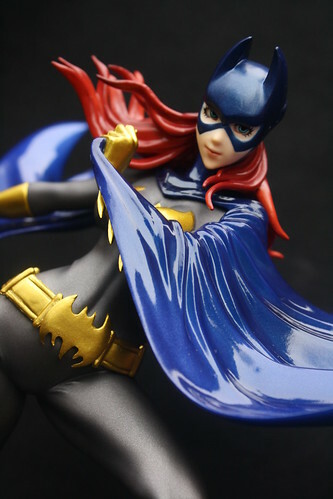 Batgirl is absolutely gorgeous. Whatever it is about Shunya’s style that bothers me actually translates well into some of the Bishoujo line (I’ve since preordered a few others- Black Cat and Catwoman). I do love the way her body is sculpted, it is the female form in it’s ideal yes it’s idealized so it is not the most realistic representation of the female form but it is gorgeous. 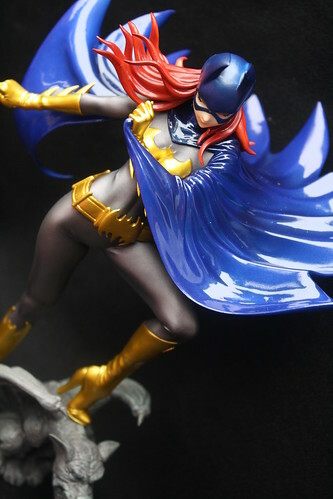 I love how dynamic the pose is, the way the cape is sculpted is really well done. 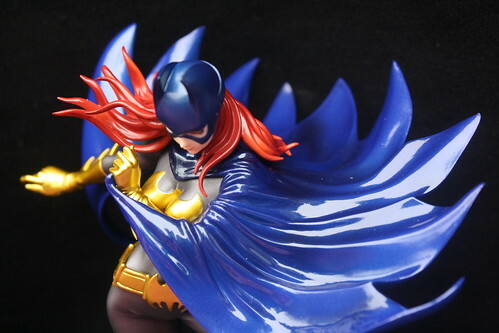 I love how this is so very much a very classic Barbara Gordan Batgirl, they could have featured either of the newer two renditions but they didn’t they went for the classic and the most recognizable. Kotobukiya really outdid themselves as far as quality, normally there is something somewhat lacking in their figures when compared to other major figure companies. 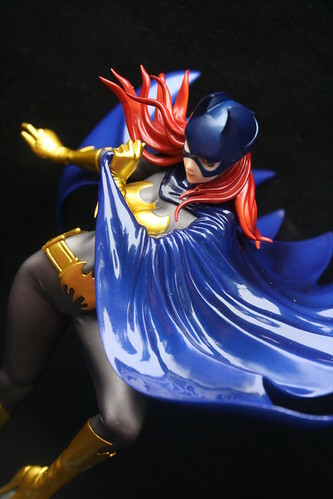 This entry was posted in 2011- 365 Toy Project, anime figure, Comics and tagged batgirl, batman, kotobukiya, shunya yamashita bishoujo series. Bookmark the permalink. There are a few in his line I like. I currently own Black Widow, Rogue, Dark Phoenix, and The Scarlet Witch. I’m interested in owning Batgirl and Emma Frost at some point. With Emma Frost I’m more focused on the pose with her flaring cape. Now that I think about it I don’t think I’ve looked too closely at the face since I don’t actually know her as a character. Sorry to comment on such an old post but UGH you’re right. I went to HLJ and took a good look at her face, and it’s really not anything great. Ah, it’s okay just sometimes I don’t always see comments on older stuff I need to install the latest comments plug-in thing I think so I stop missing stuff ^^; I love the dynamic pose but that face kills it for me, pity it would have looked awesome next to my Emma Frost pullip.